YOU GUYS. Just look at this. <3 Is this not the most perfect thing you have ever seen?! This was by far one of my favorite sessions ever, and definitely something new to add to my portfolio. 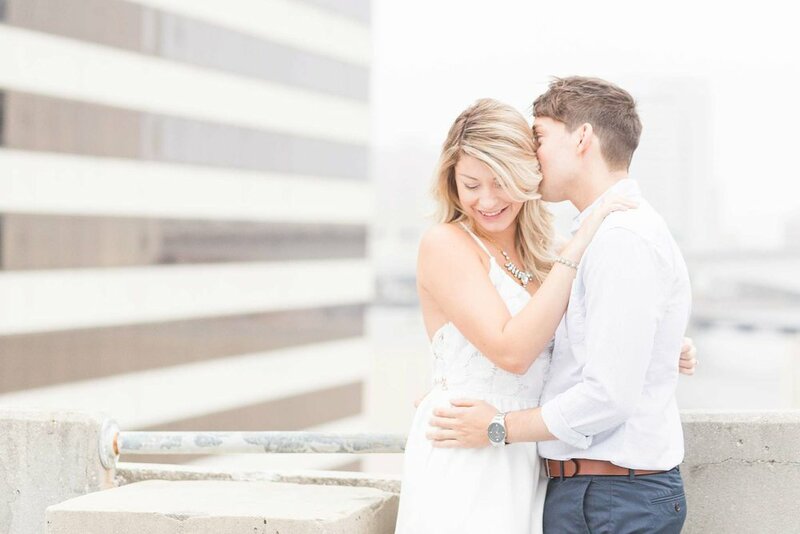 Danielle and Ryan are so deeply in love, and will soon tie the knot. 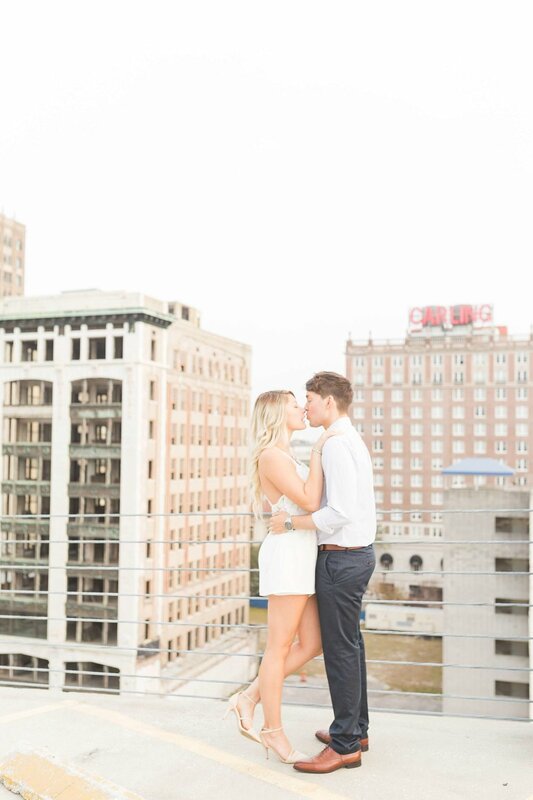 Would you believe that it was in the low 50s, and super windy on these Jacksonville rooftops, and these two brave souls toughed it out for a beautiful sunrise. Meanwhile I am shooting in what looked like a wool parka, in true Florida girl fashion. 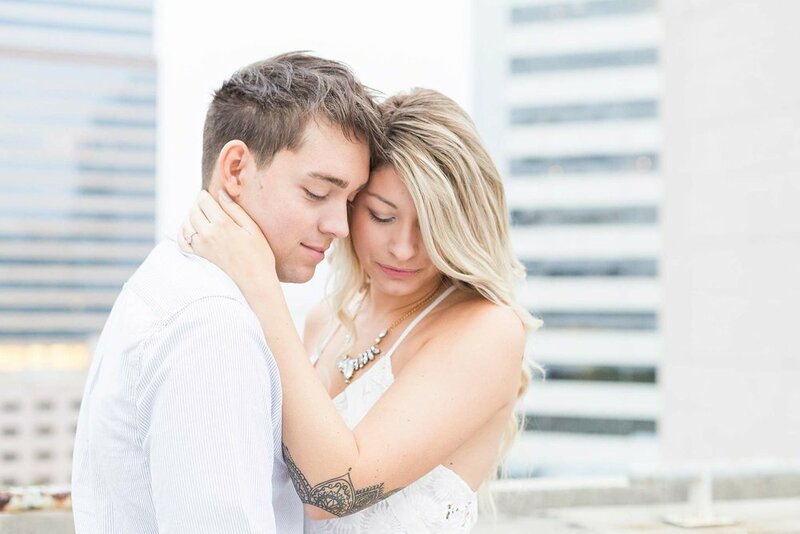 It was such an amazing sight to capture this amazing time in their lives and I cannot wait to see their love blossom even more! 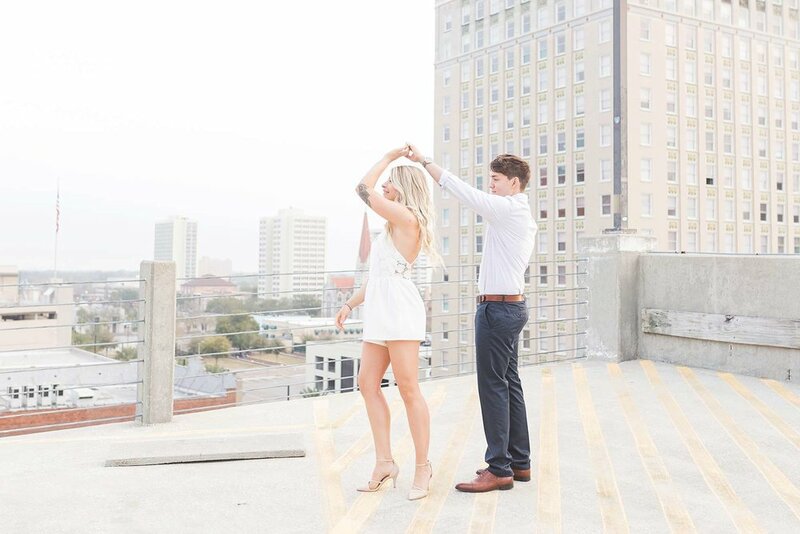 Danielle and Ryan are owners of The Copper Closet, a local Jacksonville clothing boutique. 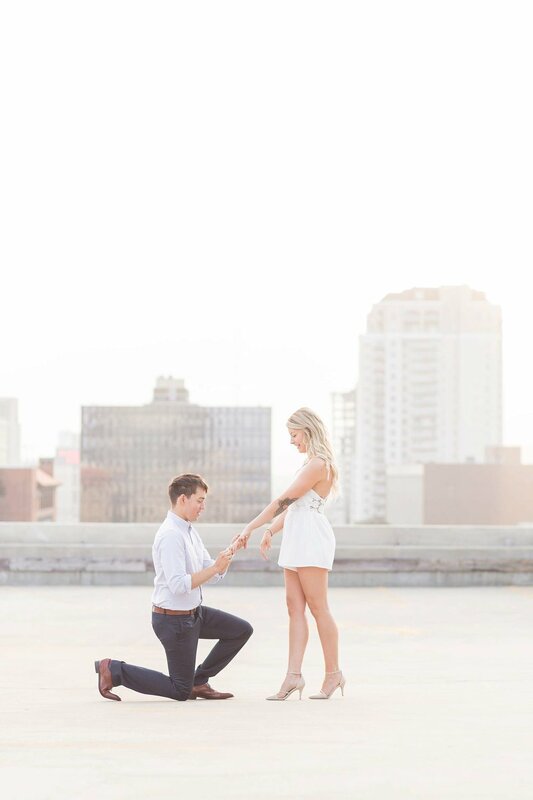 Check out their full engagement gallery HERE! LIKE WHAT YOU SEE? FOLLOW ALONG ON INSTAGRAM!